This real agate tray is a mesmerising Mesolithic masterpiece, with the intricate bands and patterns of the rock perfectly on display. From the same family as quartz, agate has been used as a gemstone for thousands of years. Here, its raw, natural beauty shines through with the golden frame completing the luxurious look. 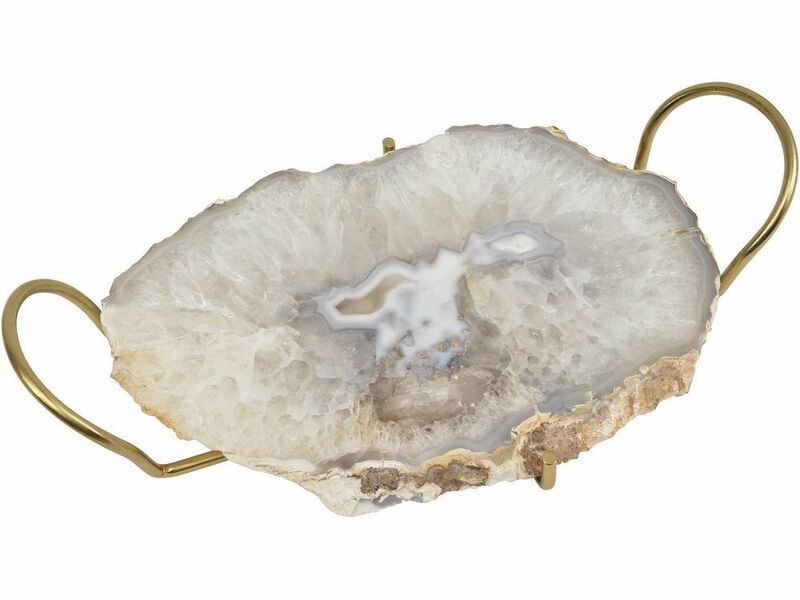 A genuine slice of pre-history, this agate display tray can't fail to turn heads - use it is a display ornament or impress guests by serving drinks and nibbles on it - it's and a stunning tribute to the magic of nature. Owing to the nature of this real agate slice, some pattern variances will occur.